Books and stories have been a lifelong ally. Much of my childhood was spent up a tree with a paperback or hidden in a nook somewhere, turning pages fervently. I still get lost in folktales and fantasy, myths and well-told tales, and you might laugh to see the number of bookmarks sticking out of my messy shelves. The Pixie’s Bookshelf is an ever-growing, curated collection of books that I have enjoyed or found useful. These books are on the shelves in my kitchen and in my libraries, both physical and digital. 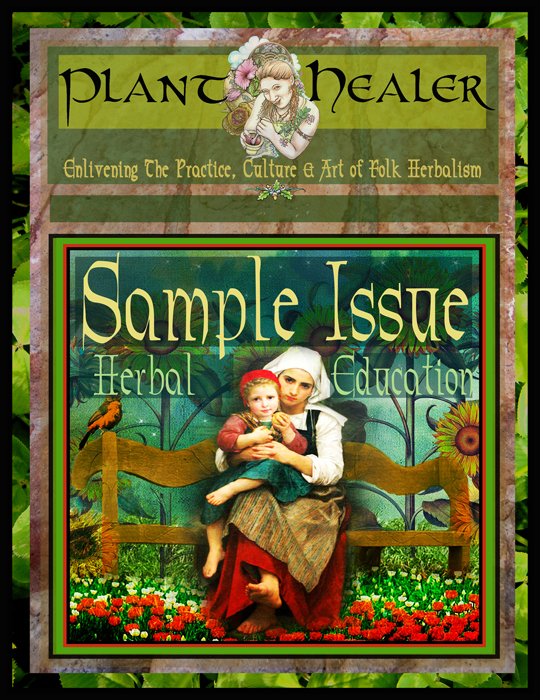 Plant Healer Magazine: A phenomenal print periodical. The stories, articles, and art weave together a tapestry of grassroots herbalism from all over the Americas. Folk herbalism is blooming everywhere as people feel the call to return to the knowledge of the earth, the wisdom of the plants, and the lessons of our animal friends. 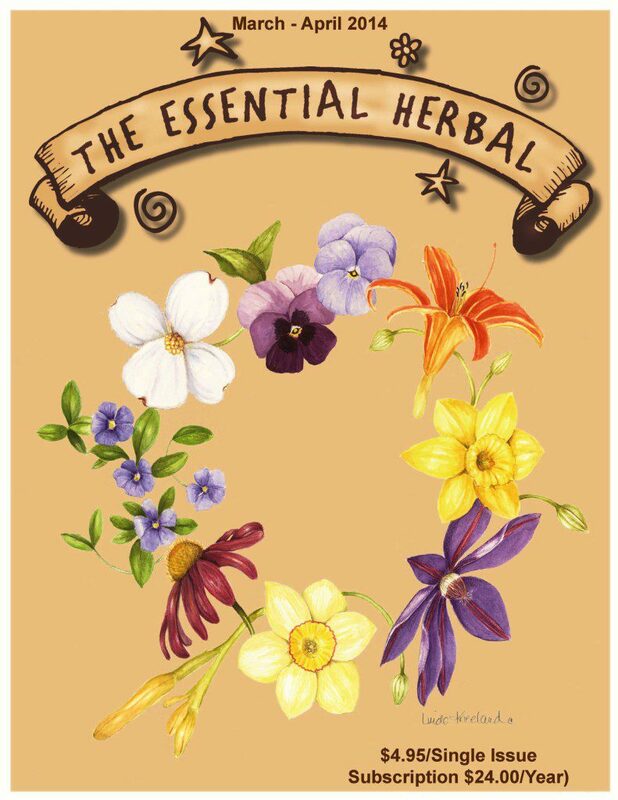 The Essential Herbal Magazine: This is a print magazine now in their second decade of publication! TEH is released 6 times each year, and each issue is full of articles, art, and poetry of roots herbalists from all over. Download a free sample copy and Subscribe to The Essential Herbal Magazine. Make Mead Like a Viking by Jereme Zimmerman: Read my full review here. This is a fantastic read for brewers who are interested in breaking out of the rigid, hyper-sterilized work of modern brewing and into the ancient whole-hive, open-jar styles of fermentation. Quench by Ashley English: Featuring two wine recipes from yours truly! Ashley English, of Small Measure fame, has published this lovely collection of all sorts of recipes and techniques to create wonderful drinks; from sodas and tisanes to alcoholic brews and infused booze! Wild Drinks and Cocktails by Emily Han: See my full review here. This book is about foraging wild foods and crafting them into drinks of all types. Emily teaches you the basics of how to forage in your own backyard, a nearby forest, or your farm market. Find fresh herbs and fruits and make your own handcrafted waters, syrups, vinegar drinks, spirits, wines, and sodas! Buy from Amazon for Kindle or Paperback. Buy from her publisher, Quarto. Make Some Beer by Erica Shea and Stephen Valand: Check out my full review here. Make Some Beer is part travel journal and part cookbook. Recipes from breweries all over the world are shared here in 1-gallon batch recipes for the experimental home brewer. Get creative! [/vc_column_text][/vc_column][vc_column width=”1/2″][vc_column_text bordered=”1″] Sacred and Herbal Healing Beers: The Secrets of Ancient Fermentation by Stephen Harrod Buhner: A wonderful book that takes a look at the art, folklore, and sometimes religious rituals relating to the brews and bubbling drinks from ancient cultures around the world. Herbal beers, gruits (without hops), and plants and their purposes for brewing are discovered herein. Artisan Drinks by Lindy Wildsmith: Read my full review here. Artisan Drinks covers techniques for making your own beverages at home. There are around 100 recipes for both alcoholic and non-alcoholic drinks along with comprehensive, yet easy to follow, instructions. Search for an indie bookshop near you who might carry it. The Complete Joy of Homebrewing by Charlie Papazian: This book is often considered a homebrew bible…it brought homebrew back as a household hobby! This third edition of the best-selling and most trusted homebrewing guide includes a complete update of all instructions, recipes, charts, and guidelines. Everything you need to get started is here, including classic and new recipes for brewing stouts, ales, lagers, pilsners, porters, specialty beers, and honey meads. 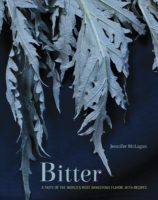 Bitter by Jennifer McLagan explores the chemical reactions that make bitter foods so important to our diet. Deep, beautiful images and stellar recipes make this a lovely reference book for the kitchen! The Nourished Kitchen by Jennifer McGruther: Check out my full review here. This is a lovely cookbook as well as a gentle introduction to the “traditional foods” movement, one that encourages deeply nourishing recipes made with the same techniques that have been safely used for centuries. Using raw milk, lacto-fermentation, whole grains, healthy fats and organ meats, these recipes are not just healthy – they are delicious and fulfilling in a way rarely found in our busy consumer culture! 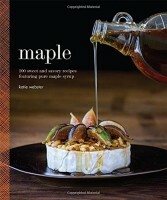 Maple: 100 Sweet and Savory Recipes Featuring Pure Maple Syrup by Katie Webster: is more than just a collection of recipes. Learn the short and sweet history of sugar making and enjoy fantastic recipes for both sweet and savory meals! The Fiercely D.I.Y. Guide to Jams, Jellies, & Fruit Butters by Kathie Lapcevic: Check out my full review here. This lovely small book focuses on techniques, recipes, and tips to help you make better fruit preserves. Canning delicious jams and fruit butters can be tricky sometimes. Let Kathie help you troubleshoot your jelly-making techniques! Homestead Cooking with Carol: Bountiful Make-ahead Meals by Carol J. Alexander: Check out my full review here. After winning a copy of this book in a giveaway, I quickly fell in love. This book is a great inspiration on how to make healthy meals available when you have little to no time…freezer, dehydration, canning – all kinds of methods of preparation and preservation are covered here. The Herb Book by John Lust: Soothe your nerves, cure your cough, color your fabrics, perfume your bath, stimulate your lover, spice your sauces, stop your nightmares, freshen your breath — with herbs…this is my most bookmarked, dog-eared, yellowed book on the shelf. It sees lots of love. Recently reprinted, but mine is the 1974 edition. Herbal Healing for Women by Rosemary Gladstar: This fantastic book covers herbal support for all stages of womanhood: adolescence, childbearing years, pregnancy and childbirth, and menopause, and teaches how herbs can be used to treat the symptoms of conditions such as acne, PMS, morning sickness, and hot flashes. Healing Wise by Susun Weed:Susun Weed offers a lighthearted perspective to learning herbal energetics – connecting with herbs and plants and working with them to make whole medicines and foods for healing. Healing Lyme Disease Naturally: History, Analysis, and Treatments by Wolf D. Storl:I bought this book when I dealt with my bout of Lyme. It became a springboard for deeper research into Lyme dis-ease, further understanding of the spirochetes, and the herbal healing methods that are available. I learned a lot from Storl’s unique and very confident views on Lyme. Homespun Seasonal Living Workbook by Kathie Lapcevic: Read my full review here! The Homespun Seasonal Living Workbook gives you 12 short, weekly lessons designed to help you get in touch with the seasons and help you achieve your own homespun seasonal living goals. The Gardening Notebook by Angi Schneider: This is a custom printable e-book that will help you keep track of everything that is important to your garden! Little House in the Suburbs: Backyard farming and home skills for self-sufficient living by Deanna Caswell and Daisy Siskins: Do you think that you cannot grow your own food because you live in the suburbs? WRONG! Daisy and Deanna show you how to garden, make soap, and give you tons of easy-to-follow advice about how to live more sustainably without raising the ire of your neighbors with lush, green lawns. The Art of Gardening: Building Your Soil: Author Susan Vinskofski teaches about the most important part of the garden: the soil. Learn different composting and gardening methods, ways to boost nutrients in the soil, and enjoy a few recipes with the amazing veggies you’ll be harvesting. Buy from the author directly.